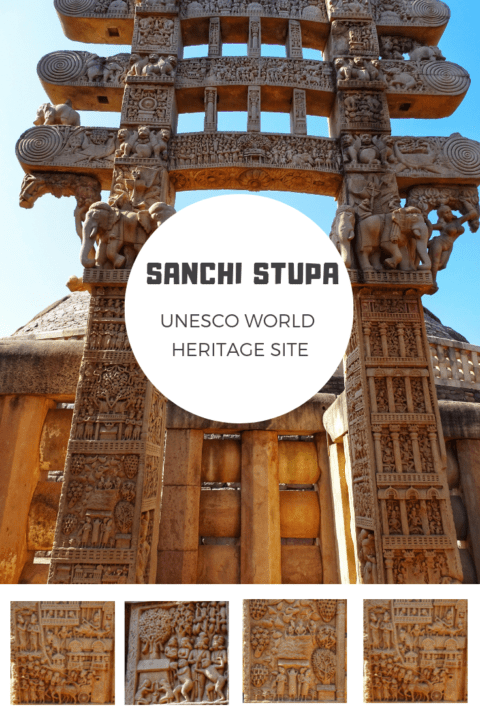 Why Sanchi Stupa is one of the best UNESCO World Heritage Sites? 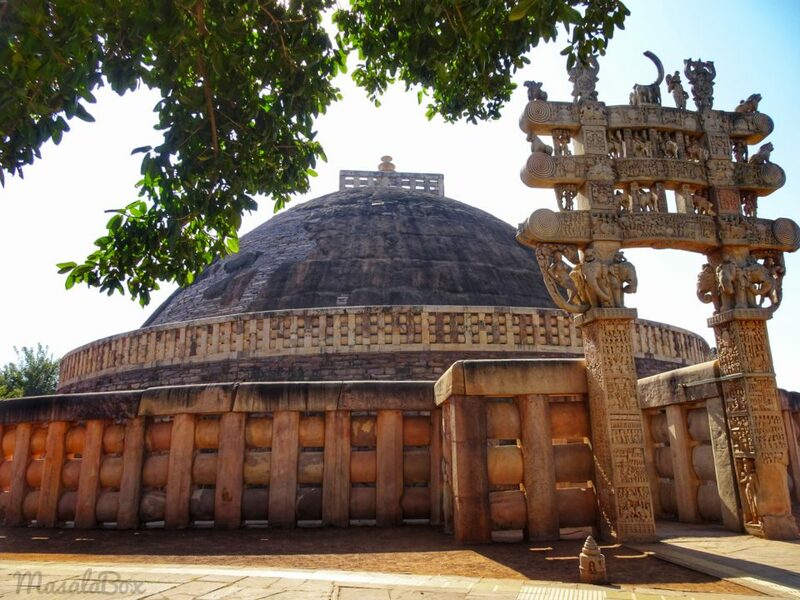 The dome of Sanchi Stupa looked perfectly intact as I walked up the well-laid paths leading to it. 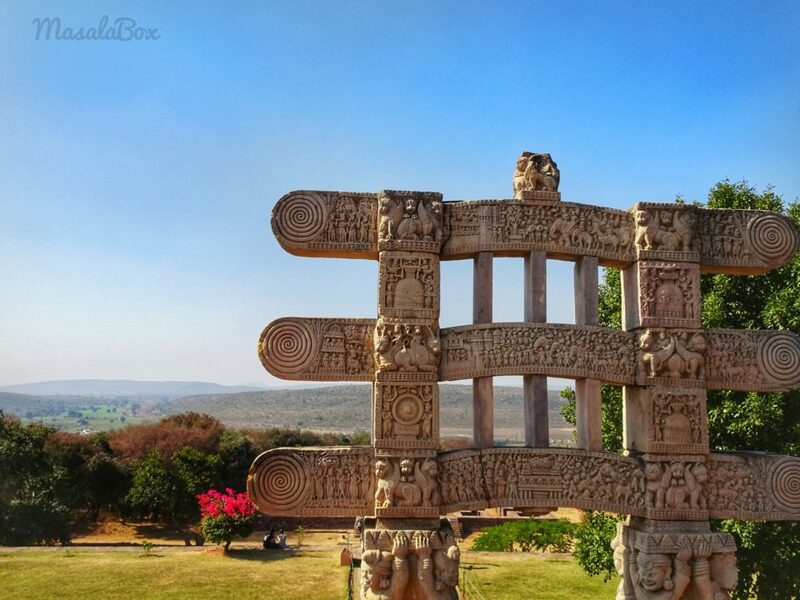 The sun was harsh as it was almost noon when I reached Sanchi. 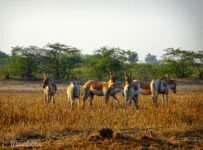 It is just about 50 odd kilometre from Bhopal and I had hired a cab to drive down. 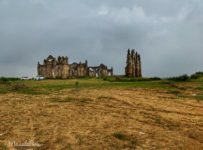 The moment I hear there is a UNESCO World Heritage Site around, I always wish to see it. And I can’t miss this one, having come this close. 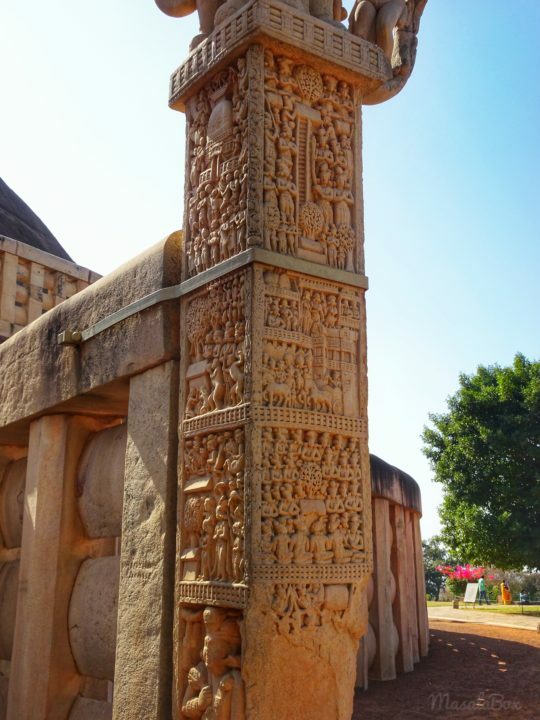 Sanchi stupa surprised me in many many ways. For starters, it is still intact. Not attacked, not ruined, the dome is up, the gateways are up, the figurines have not worn out, the pathway is wide and clean, the lawn is green and an architecture that makes you go wide-eyed. A monument from the 3rd century that is still standing is definitely a wonder. It is so well maintained that it made me question, “how did this monument get all this attention?” Can’t believe it? Read on and check out the pictures yourself. Wherever Buddhism is followed, spotting a stupa around there is inevitable. The stupas are usually hemispherical in shape and it houses the relics of a prominent figure. Like the Buddha Himself, or his followers or prominent Gurus or sometimes just the scriptures and important stuff that needs to be preserved. 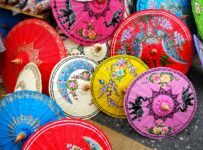 So it is believed to represent the Buddha himself. The stupa itself is believed to look like Buddha in his sitting posture. 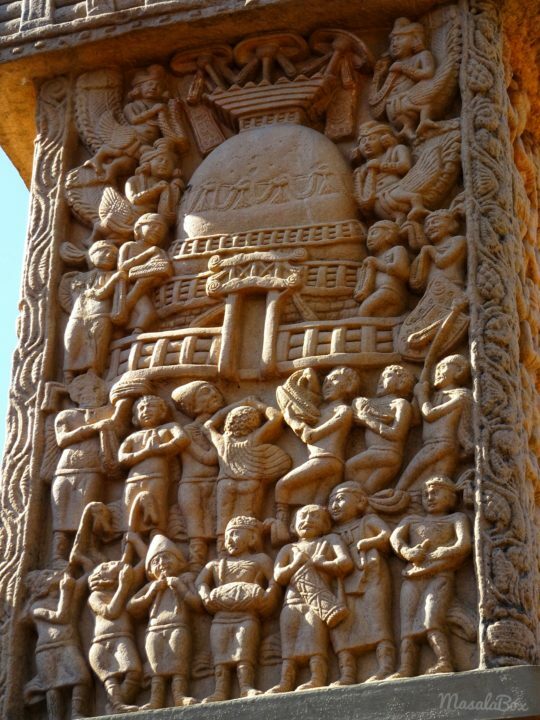 Sanchi stupa is also one such. It has the relics of Buddha himself and it was commissioned by the great emperor Ashoka himself. Ashoka belongs to the Mauryan empire dating to sometime in the 3rd century. And hence this is probably the oldest standing Stupa. It is believed that originally the stupa was made of brick. And in the later period, the current stone stupa was built on top of the brick one. The brick one is said to be only half in size of the new one. One needs to be thankful for the stone construction cause otherwise, it would have got ruined in the weather. 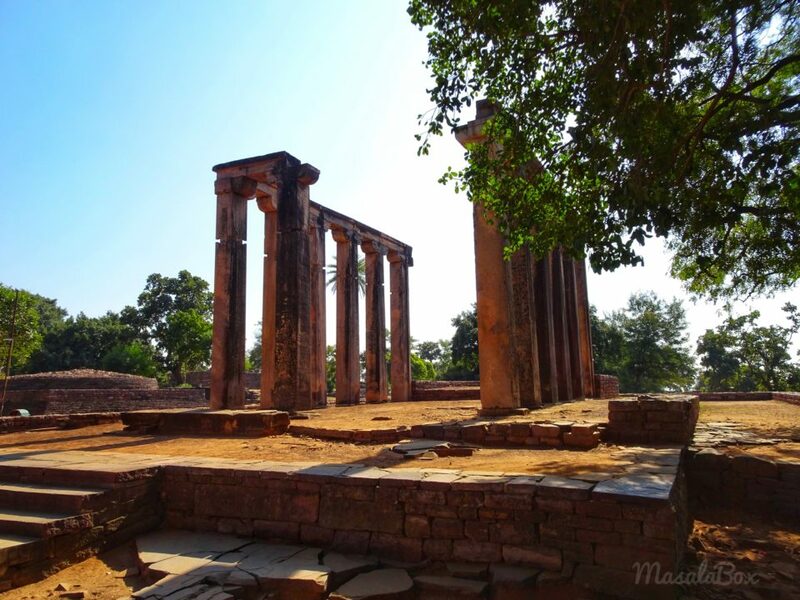 There are multiple stupas within the complex as well as around Sanchi that are made of brick but has not withstood time. History says that during the Shunga period, the outer stone wall was constructed. 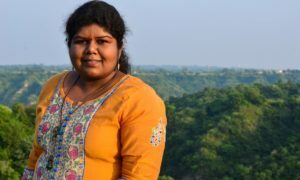 The Shungas were Hindus and staunch Brahmins, so am not sure what is the connection between Shungas contributing to the welfare of the Stupa and Buddhism. 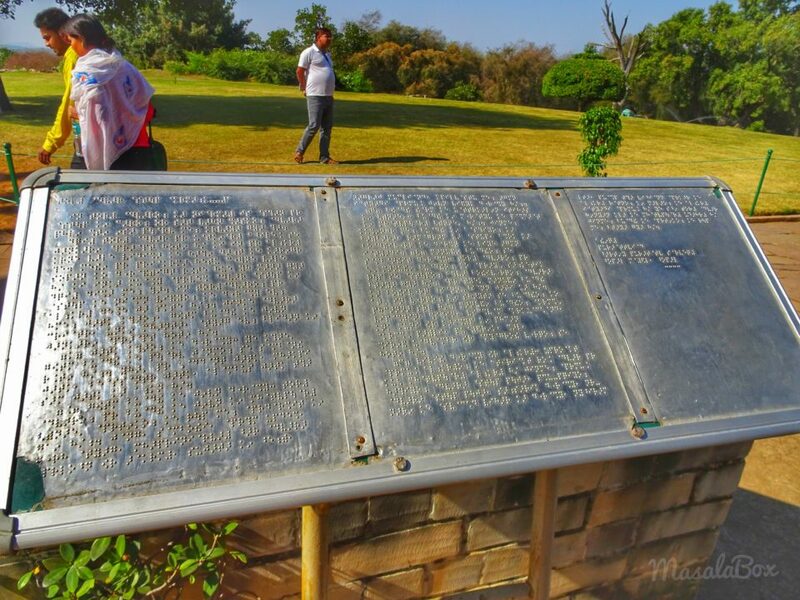 If you do know about this part of the history, please do drop a comment. As I stood at the entrance of the stupa, I think that was the north gateway, the figurines and stories etched on these gateways made me go wide-eyed. They were still intact as though some divine power was indeed protecting them. 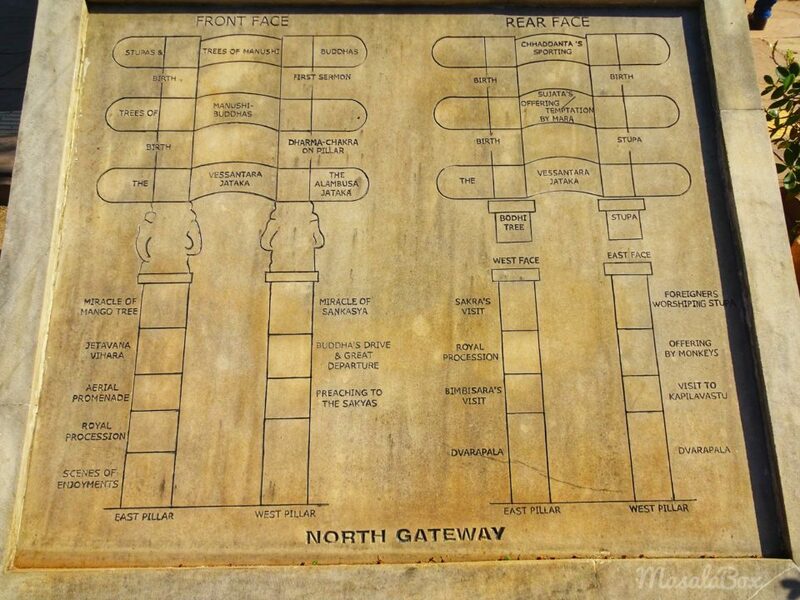 There are four such gateways around the Stupa, named simply as the south, north, east and west. These gateways are also called Toranas. 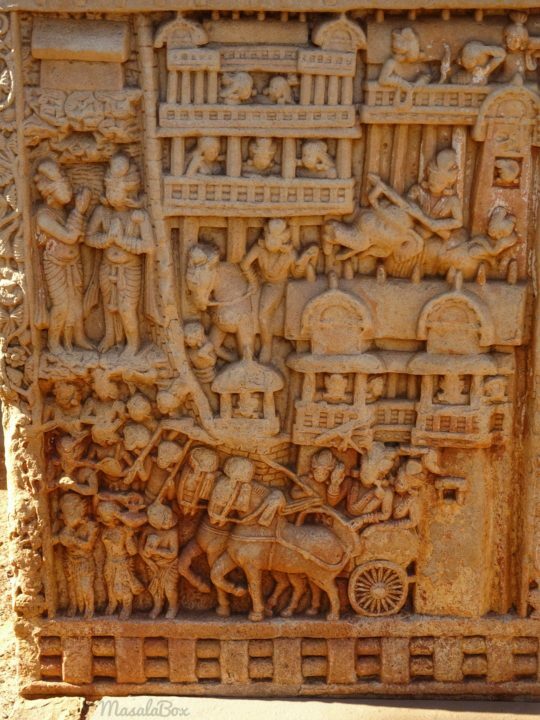 In front of each torana, they have explained what is the story depicted on parts of the gateway. So you can kind of relate to the title mentioned vs the story depicted on the gateway. 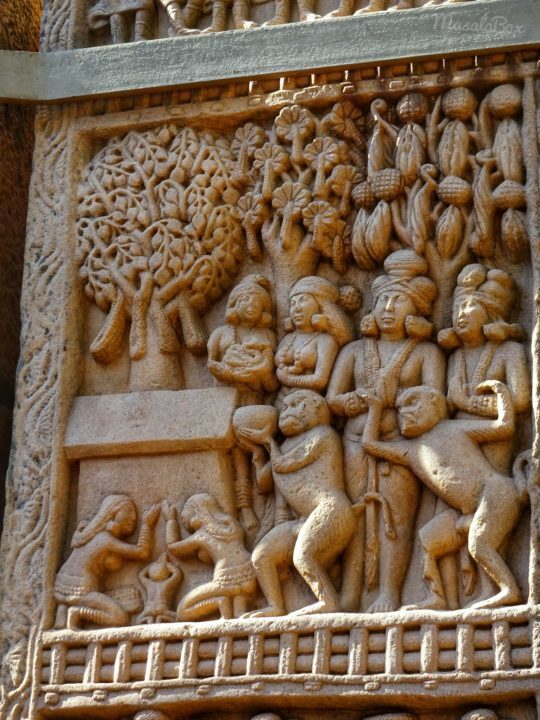 The depiction could be from Jataka tales, life of Buddha or some historic significance or just a moral lesson. You can easily spend more than half an hour trying to decode each gateway. Cause these are huge gateways and has a front and a back and different things written on both sides. There are stories on the pillars and on the architraves. One more thing is that Buddha is not directly represented as Buddha in these stories. He is represented as a fruit or a bird or some symbol that is left for you to decode. 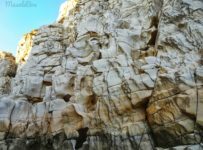 Here are some of the carvings found at the pillars of the gateway and let me try to explain them as much as I can. There are two interpretations of the above carving. One is that Buddha is represented by the Stupa shown on the top and that people are coming in to offer their prayers and get blessings. The second interpretation is that people are bringing in offerings and donations to build the stupa. The lower row people look different and uniquely dressed compared to others and hence it is said could be foreigners coming in to give donations as well. 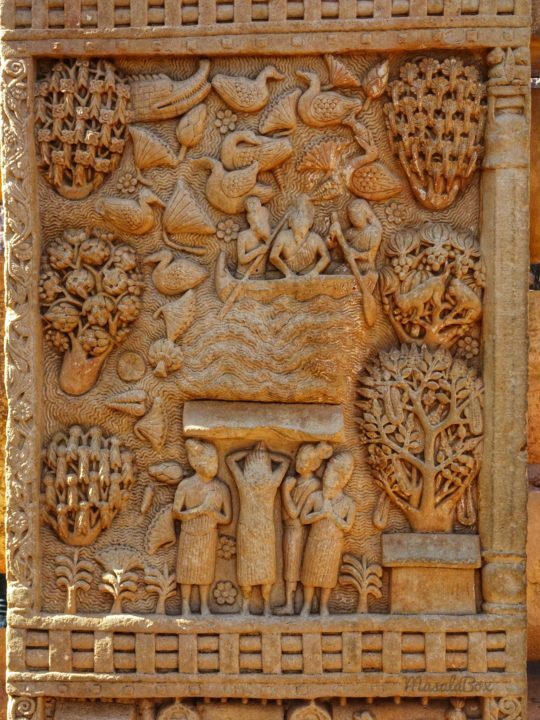 In the above carving, Buddha is represented or believed to be sitting on the throne under the pupil tree. And people are flocking in to give their offerings and get blessings. Not just people, monkeys too are walking in with their offering. The relief reads that monkey is offering a bowl of honey. One represents bringing in and the other with empty hand symbolises that the offering has been made. Why do they look angry? I have no clue, they look angry to me. 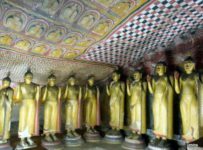 This story depicts King Vimbisara leaving his kingdom Rajagriha to pay a visit to Gautam Buddha. Buddha is represented here as the throne on the top left corner. 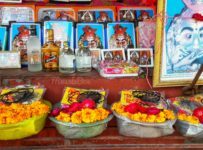 The story goes that, Buddha comes begging for alms through the kingdom of Rajagriha and people start to notice how radiant he looks, unlike a poor beggar. So the king is notified that probably a God is walking through his kingdom and the king notices him as well. The king then goes looking for the wise man to bring him back to the kingdom and get some wisdom from him. 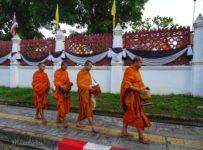 However, Buddha has renounced his kingdom and living a life to obtain salvation. So he does not go back with the king. There are many more carvings around the pillar depicting this story in stages. So you see how the pillar is filled with carvings and reliefs like above? That is how it is on all the gateways. The toranas also tell us from which period it is from, who constructed it and so on. One of it holds the four lions facing back to back which is from Ashoka period and considered our emblem. It is also said that there was a big pillar erected with this emblem next to the main stupa. However, it fell and now only the base of the pillar stands. The emblem is preserved in the museum. One such pillar has elephants and then demons. 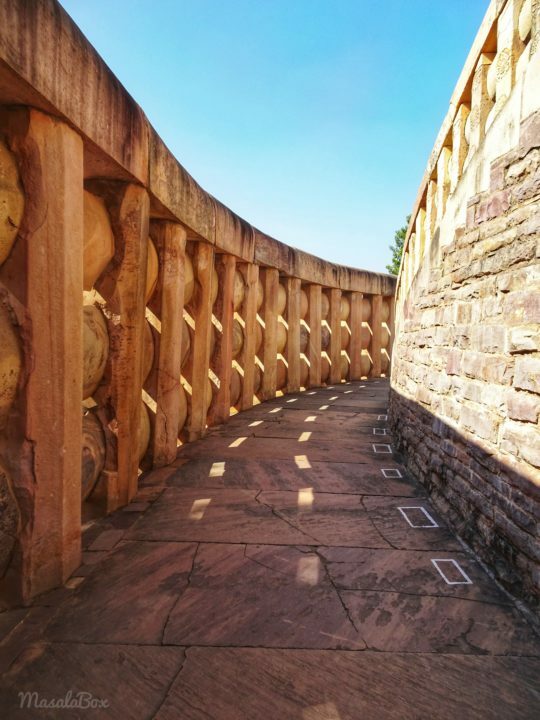 An elevated walkway takes you around the main stupa. We can see inscriptions on the floor from Mauryan period. Some of the stupas that you find in South East Asia, you can climb in and see the relics at the base. For example the ones I found in Ayutthaya, Thailand, had these steps that you can walk up to the top, peep into the stupa and offer your prayers. Mind you that these are the religious places of worship for the Buddhists. Sanchi Stupa does not have that facility. You can walk around it to offer prayers but you cannot see the inside of the stupa. There are many more structures inside the complex. 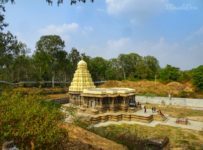 It is believed that the whole stupa was once housed inside a towered temple complex types. Not sure how authentic the claim is. 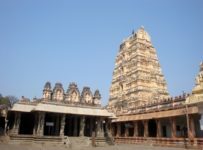 But you can see individual standing temples like below around the area. 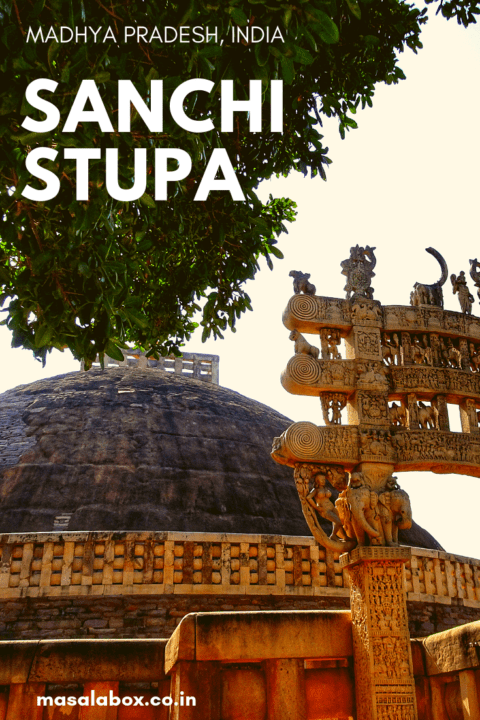 Also, Sanchi Stupa was constructed as a centre for studying Buddhism. Hence you can see structures like prayer hall and hostels around too, in a dilapidated state. 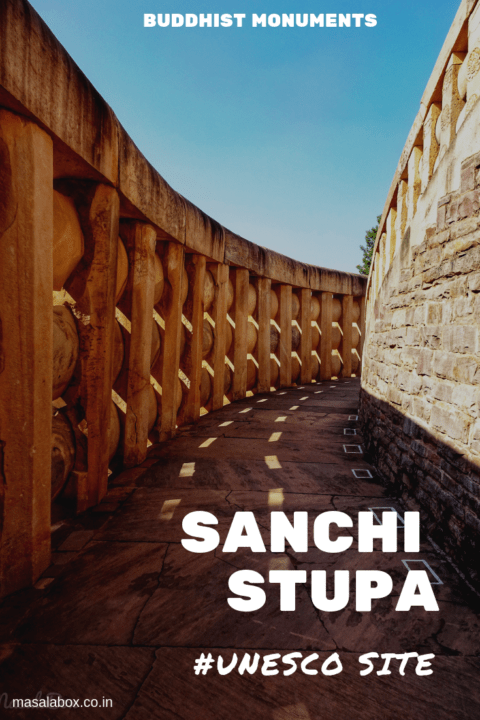 Emperor Ashoka commissioned the work for the Sanchi Stupa and laid the foundation, however, he never visited the Stupa after that. 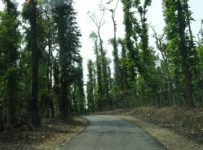 It was his wife Queen Devi and his daughters who completed the construction work. 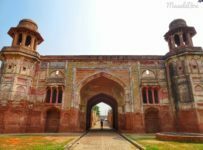 Initially, it was just the main dome and Ashoka pillar erected next to the dome and overtime other monuments and gateways were constructed around it. 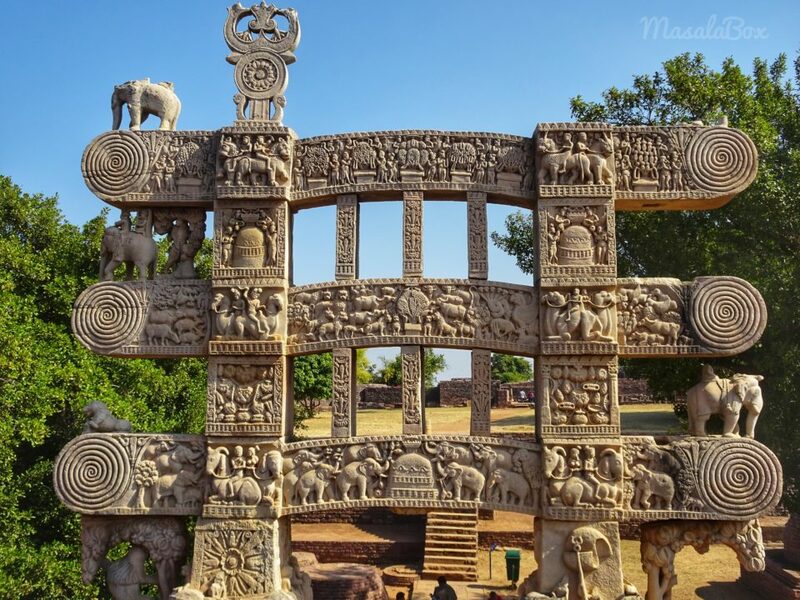 Since Sanchi is on an elevated hill, it escaped the vandalisation by the Muslims. 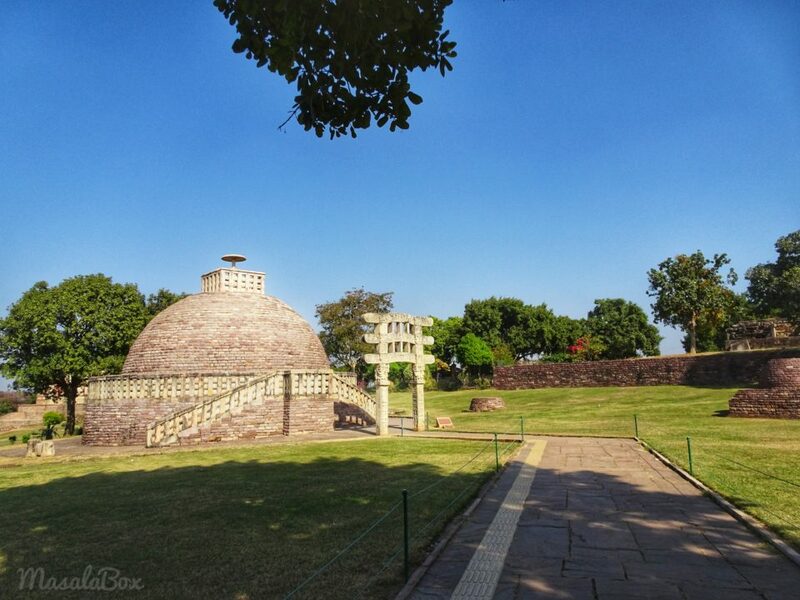 Up until 1818 Sanchi Stupa was neglected and it was discovered by General Taylor. 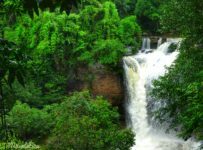 Jungle had took up the complex but he found that it was well preserved still. 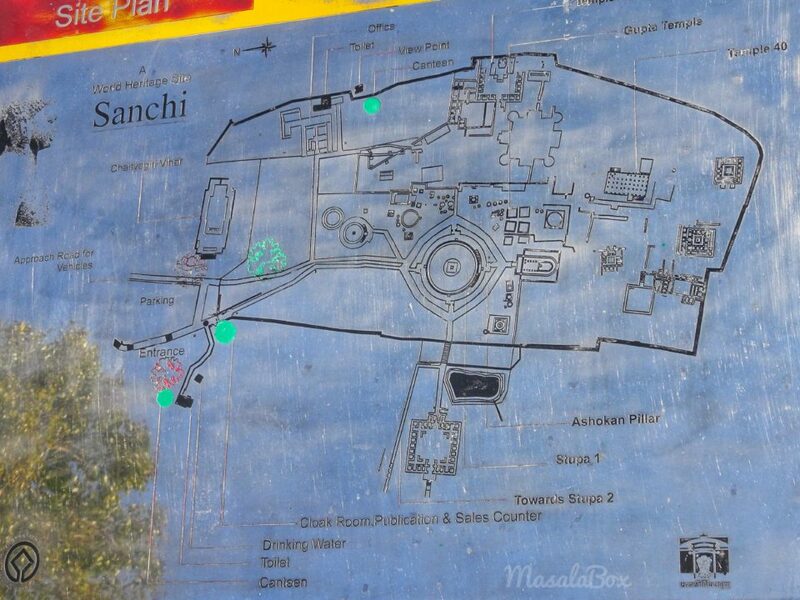 In 1912 Sir John Marshal ordered the restoration work of Sanchi. He was the Director General of Archeology back then. In 1989 it was declared as a World Heritage Site. 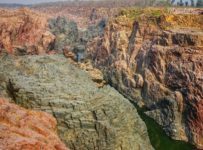 Bhimbhetka Rock Shelters and Cave Paintings – This and Bhojpur lie in a line. So can do these two and then head to Sanchi. 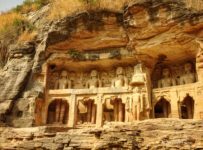 Bhimbetka caves contain rock paintings, left behind cave men who occupied this place about thousand years ago. 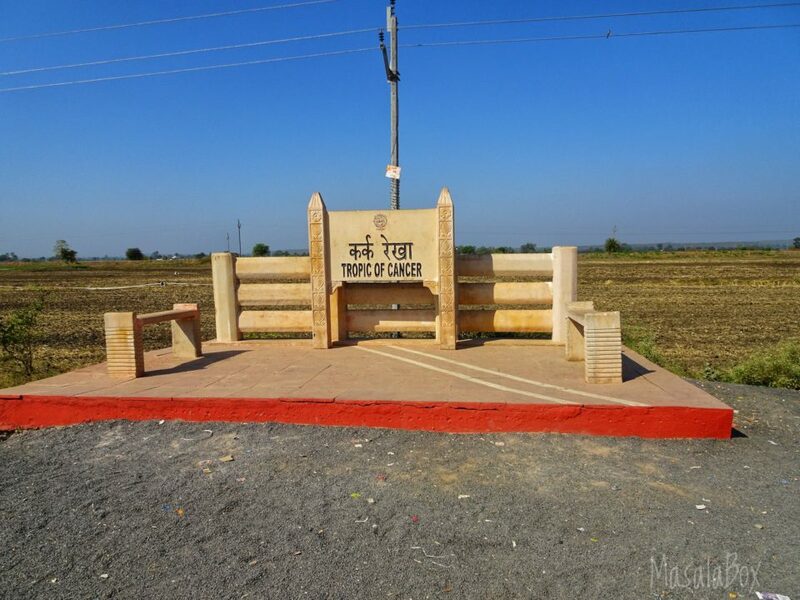 Tropic of Cancer – Tropic of Cancer is on the way to Sanchi. Blink and you miss it. It just passes through the road and if you had paid even the slightest attention in geography class, you would be thrilled to see tropic of cancer passing by. 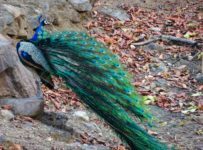 Udayagiri Caves – Udaygiri caves is ahead of Sanchi. 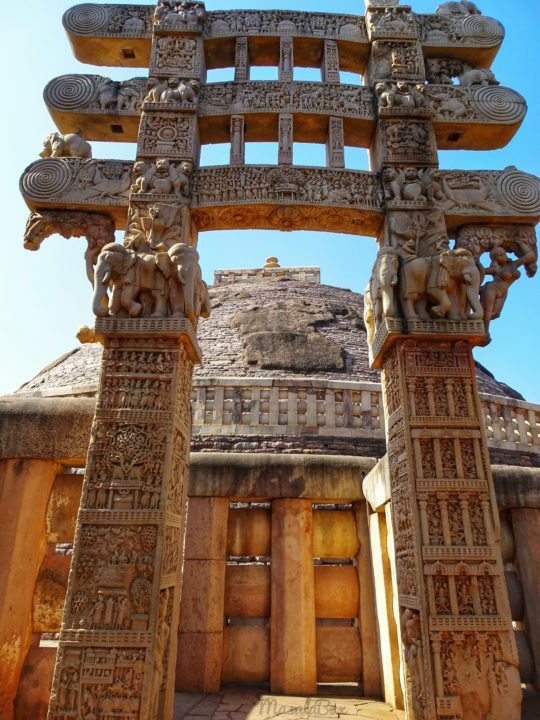 You see Sanchi Stupa so well maintained and then you go to Udaigiri caves and wonder what sin did this place commit :/ That is how sad this place is maintained. 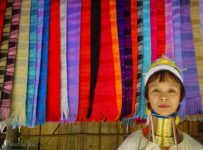 It is like villages and house around and suddenly a fenced gate opens up to some stunning figurines. Though not maintained well, strongly recommend to go check out the magnificent sculptures.